Looking for a promotional code to use with your Google Apps? 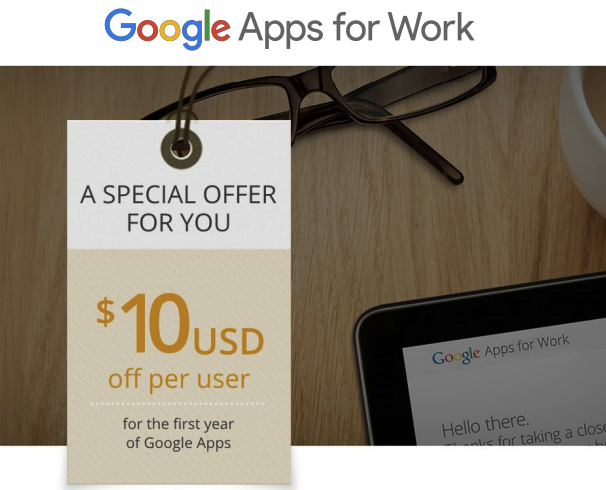 Well, Google Apps for Work are currently offering 10 USD off per user. Here are a couple of Google Apps for Work promotional codes for you.